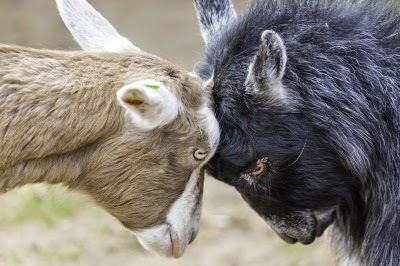 This topic of sibling rivalry always comes up with my Family Business clients. As you know it is an often unspoken battle for victory (of any kinds) among siblings. Sibling rivalry often starts young as the “jockeying” for position in the family hierarchy presents itself in many ways. It could be athletics, academics, or even friendship circles. Who gets more awards at school (remember the most basic awards in elementary school! ), who gets the higher marks, who has more friends at a birthday party, and who has a better spouse. I know these things may seem silly to some of us but they do exist and carry on through life especially for those siblings who work together in a family business. These relationships in the business world with siblings can be complex. It is no longer the eldest who will be the future leader. We can leave that to various world wide monarchies. There are many cultures where the eldest does in fact become the leader and is groomed from young age, to become the leader. It can work and has been working in many cultures for many generations. In today’s world, I often come across next generation leaders who are the youngest in the family. It can remain unspoken that gender can play a role too but I suggest that may be more tied (but not limited) to some cultural backgrounds. How is this rivalry managed? It is very difficult for Mom and Dad manage sibling rivalry in the business world. It may not have been managed or acknowledged in their children’s upbringing because competition for supremacy may not be a bad thing, or can it? Every family has different dynamics when it comes to sibling rivalry. Managing this in a family business takes additional skills to create different conversations. Perhaps the heir apparent in Mom and Dad’s eyes, is not the right future leader. They may not have the “fire in the belly” entrepreneurial spirit of their parents. They may wish they were doing something outside of the family business and never got a chance to find out. They may prefer a work-life balance with more time for their own family that the family business will not allow. You can see there are many reasons why understanding sibling rivalry and its management can create many new conflicts and fracture the family. Let me help you have those difficult conversations and create the harmony in your family that everyone strives for. Be a success story that can be told for many generations to come. Let’s have a conversation. There is NO COST for that initial discussion and I am sure you will have some great take aways. ← What Are Your Intentions?